What’s the magic word? 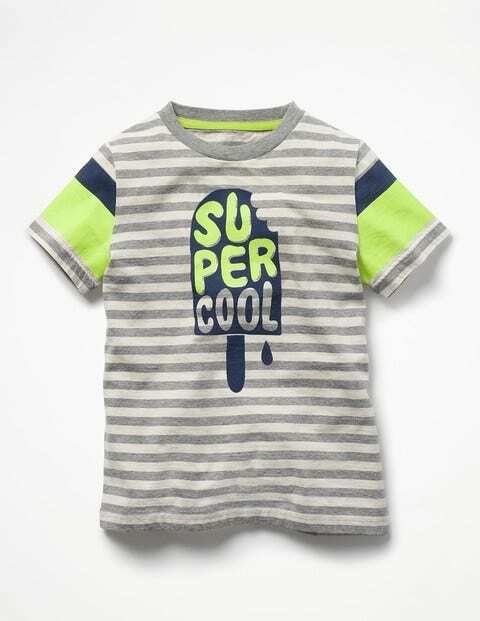 Our stripy graphic T-shirts have the answer. The bright multi-coloured designs and fun slogans will be the envy of the playground (even though they're not ideal for hide-and-seek). Contrasting stripes on the sleeves add a hint of sporty style, while cotton fabric keeps things comfortable. So, which will it be?